Anandam Resort provides a most conducive spot for you to take a break from your busy days. From here, guests can enjoy easy access to all that the lively city has to offer. With its convenient location, the hotel offers easy access to the city's must-see destinations. Anandam Resort offers impeccable service and all the essential amenities to invigorate travelers. While lodging at this wonderful property, guests can enjoy restaurant, airport transfer, car park, 24-hour room service, executive floor. In addition, all guestrooms feature a variety of comforts. 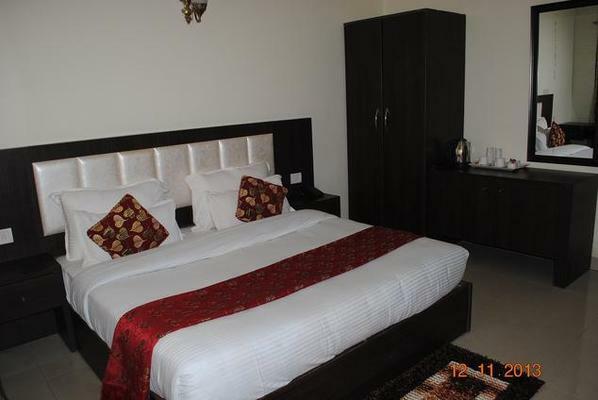 Many rooms even provide coffee/tea maker, air conditioning, internet access – wireless (charges apply), television LCD/plasma screen, non smoking rooms to please the most discerning guest. Besides, the hotel's host of recreational offerings ensures you have plenty to do during your stay. Enjoy unparalleled services and a truly prestigious address at the Anandam Resort.